Millie the silly pup loves to romp in the yard, playfully chasing birds, and being at one with nature. This brown and white Terrier mix is an independent pooch who loves the outdoors. She would make a great hiking, jogging, walking, and ball chasing companion. A big fenced-in yard, where she can freely run, would be ideal, and frequent walks in the park or woods would be terrific. Having one ear that stands straight up, and the other that lies flat to her head, she brings a smile and a laugh to everyone who sees her. She’s currently enrolled in Camp Good Dog For Kids and doing very well learning to sit, stay, and walk on a leash. 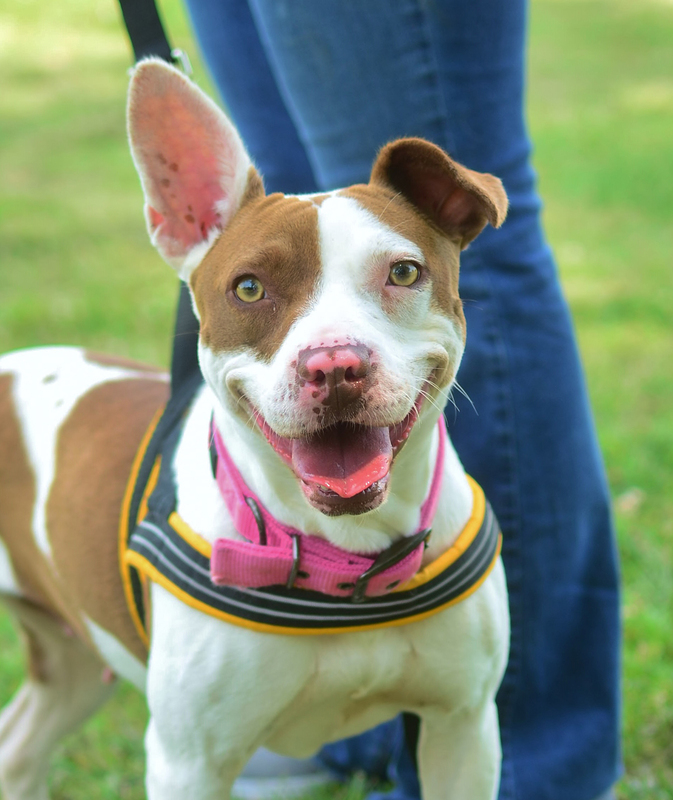 This high-spirited gal will bring fun to your life and love to your heart. Less than a year-old Maple is as sugary sweet as the syrup she’s named for. She’s a day-brightener kind of cat. When she’s not playing with jingly, dangly toys and entertaining herself and others, she’s resting on her perch observing the world with amusement. Maple is the type of cat who allows fun to happen and if the mood dips a bit, she’s more than happy to help bring it back up. She can find the positive in every situation and is essentially an all-around awesome kitty. 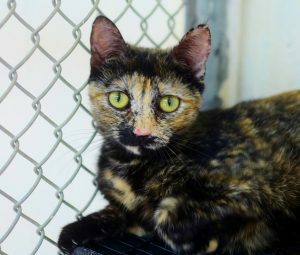 Bring this this gorgeous Tortie cat into your home and your life will be a lot brighter.